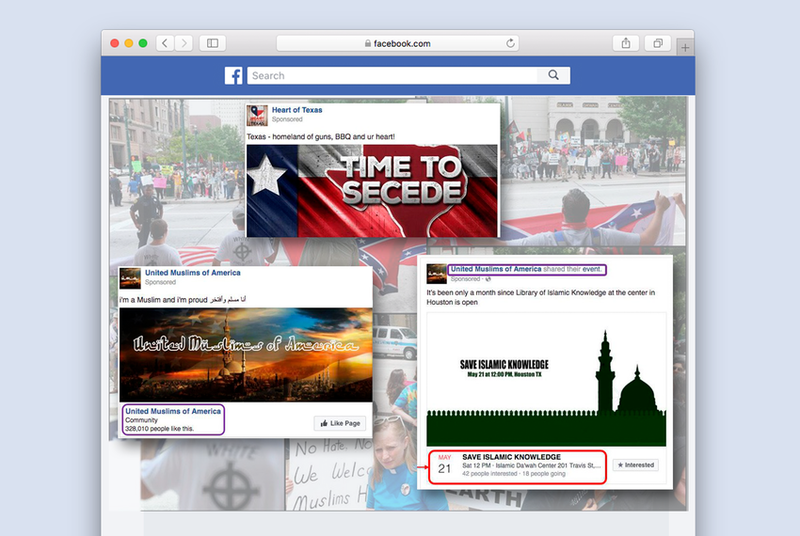 Texplainer: If Brexit Can Happen, Can Texit? Hey, Texplainer: Britain voted to leave the European Union. 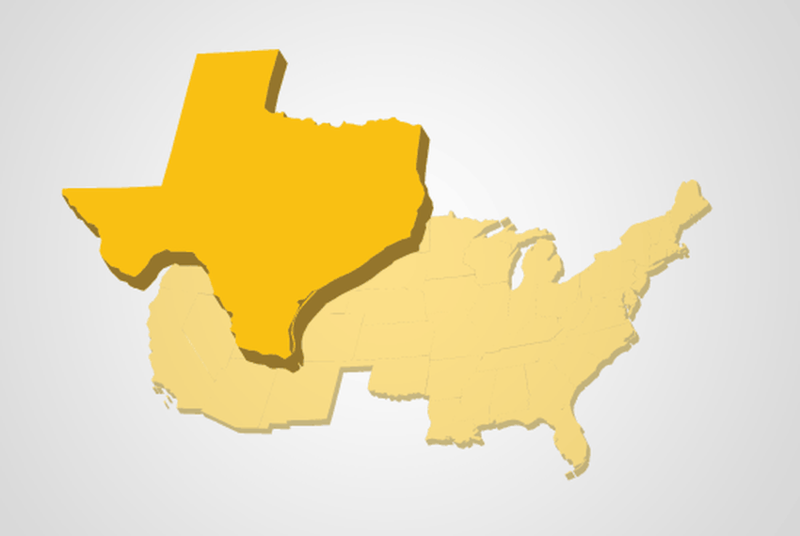 Can Texas secede from the United States? When Texas Republicans assemble for their state convention next month, it's possible they will debate whether Texas should secede from the United States. On last night's episode of The Daily Show, correspondent Jessica Williams talked to handful of Texans, include a former Republican candidate for governor, who want to secede from the "oppressive" U.S.
State Rep. James White, R-Hillister, has filed legislation that would require the state to study the effects of cutting financial ties with the federal government. The bill is not intended as a call for secession, White said. The White House, responding to calls for secession from Texas and seven other states, has called for healthy debate, but to not let "that debate tear us apart." A petition calling for Texas to "peacefully" withdraw from the United States of America was filed on a White House website Friday. It already has enough signatures to warrant an official response. Falwell: Perry a "Strong Candidate on Social Issues"
Gov. Rick Perry will speak at Liberty University on Wednesday, and the Christian school's president and chancellor, Jerry Falwell Jr., son of the school's famous founder, predicts Perry will find a very receptive audience among its students. Gov. Rick Perry has at times been inconsistent in applying his states' rights beliefs, raising questions even among Republicans about whether his stance is as much campaign positioning as a philosophical commitment. A few protesters gathered in historic Charleston to jokingly welcome Gov. 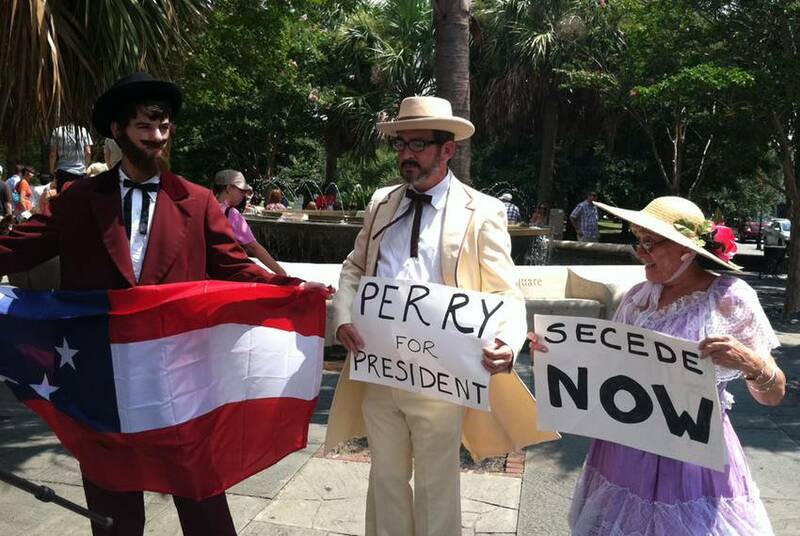 Rick Perry into the race for president — of the Confederacy. Rick Perry's infamous flirtation with secession at an April 2009 rally is sure to get renewed scrutiny in a presidential campaign — but it turns out it wasn't the first time the governor contemplated Texas leaving the United States of America. Texas leaders aren't talking about secession, after an outbreak of conversation a couple of years ago. But the germ of the idea remains in the anti-federalist talking points that fueled Gov. Rick Perry’s re-election campaign last year and provided the outline for his book, Fed Up! 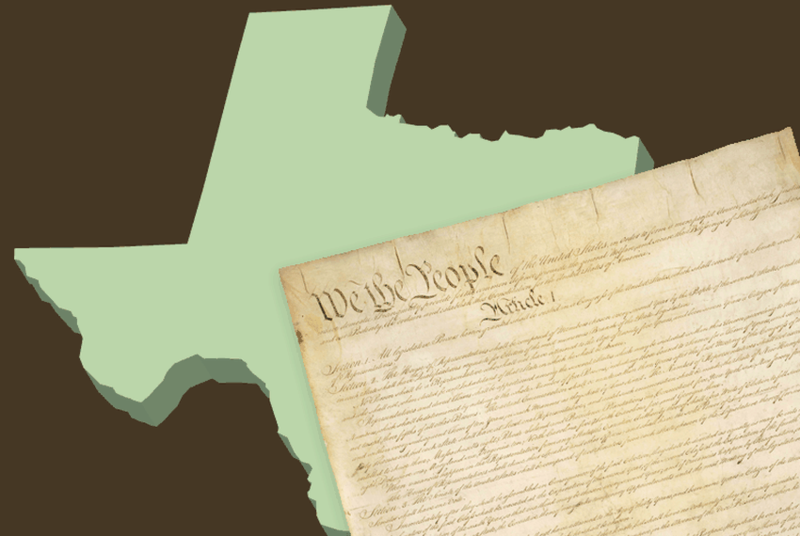 Texplainer: When Did Texas Actually Secede? 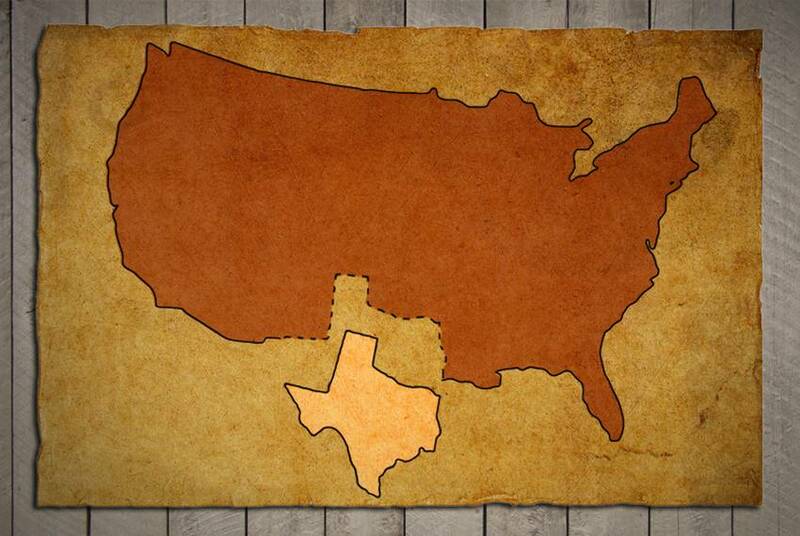 Most media organizations put the date of Texas secession as Feb. 1, 1861 — 150 years ago today. But the reality was a little more complicated. No secession ball will mark the day. 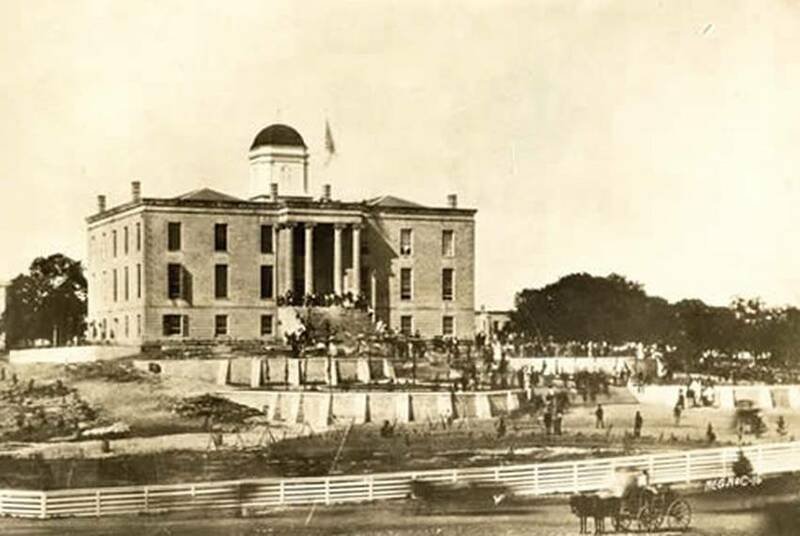 But 150 years ago today, on Feb. 1, 1861, a state convention voted overwhelmingly to secede from the Union, against the fervent wishes of Gov. Sam Houston. Caught in the mess was one Robert E. Lee, a federal officer in what had become a rebel state. On April 15, 2009, Rick Perry positioned himself for the first time as the defender of Texas against Washington oppression — and the 2010 race for governor was decided. 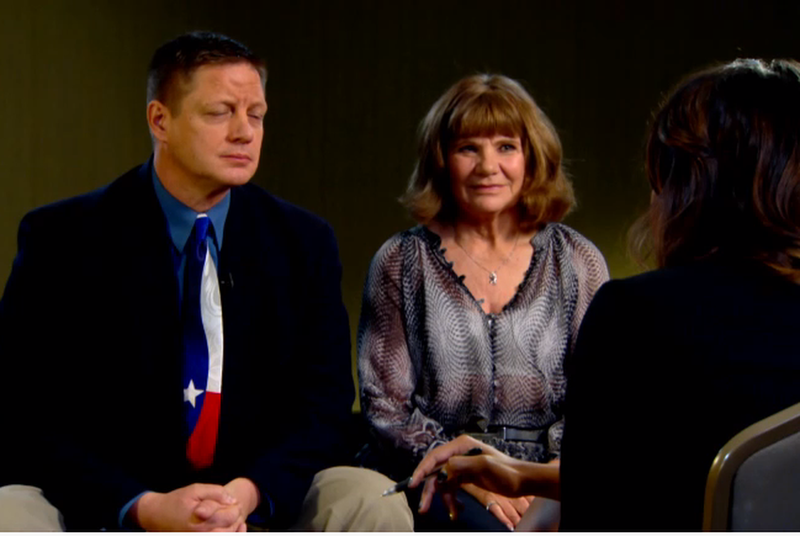 Conservatives in Texas are invoking the 10th Amendment at every whistle-stop. But what rights does it actually protect? 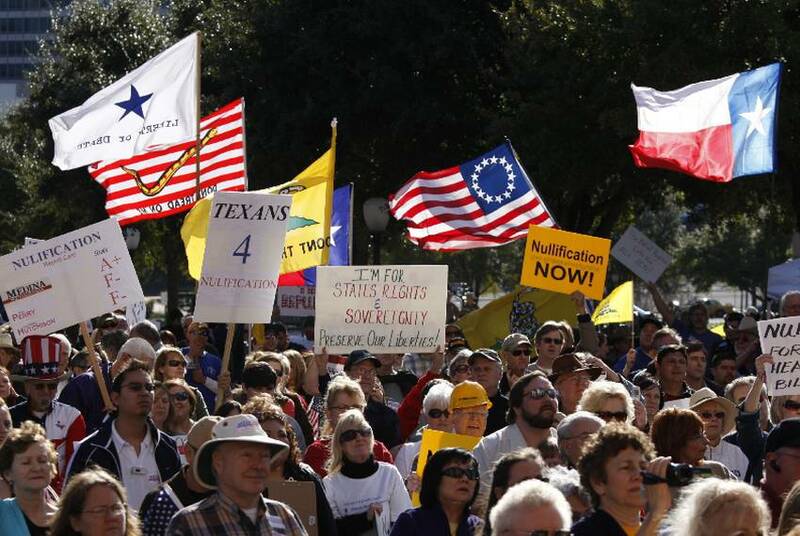 Texans gathered for a "nullification" rally at the Texas Capitol on Saturday, January 16, in protest of federal healthcare plans in particular and federal spending and laws in general. 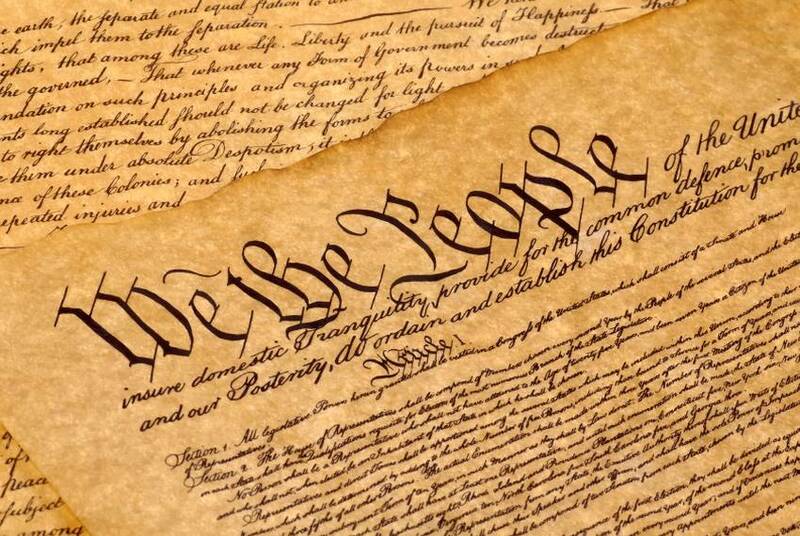 They called on the state government to "nullify" what they contend are unconstitutional actions by the federal government — that is, to opt out of pending healthcare legislation and other federal programs and laws they feel go beyond the bounds of the U.S. Constitution. Most of the photographs that follow were taken by Bob Daemmrich; a few were shot by Ross Ramsey. The final amendment in the Bill of Rights provides state leaders their best avenue around federal policies they don't agree with. That is, if the Tenth Amendment actually means something.